A new study published by the National Highway Traffic Safety Administration (NHTSA) finds that the most dangerous day of the week to drive is Saturday, followed by Friday and Sunday. This finding was drawn from a study conducted by Avvo, an online review site, paired with statistics from the NHTSA’s Fatal Analysis Reporting System in 2016. 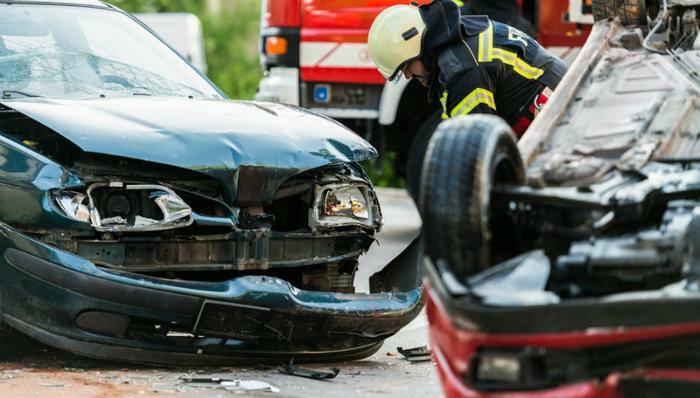 Avvo calculated the number of car crash-related fatalities from across the country by day of the week and time of day and found that the most fatalities occurred on weekends. In total, 6,802 car crash-related fatalities occurred on Saturday out of the total 37,461 road deaths recorded that year. Behind Saturday was Friday, with 5,826 lives lost, and Sunday with 5,809. Tuesdays had the lowest crash rates, especially between the hours of 1 a.m. and 4 a.m.
Avvo said many crashes are related to driving under the influence of alcohol, which is a key reason so many crash-related deaths occur on weekends. "We can see various trends across the country where more drivers are on the roads during the weekends and also more careless and potentially reckless during this time," Avvo marketing executive Jeremy Reitman told USA Today. A quarter of all drivers (26 percent) involved in fatal crashes during the weekend were alcohol-impaired, compared to 14 percent on the weekdays; 10,497 deaths of the 37,461 (28 percent) that occurred in 2016 involved alcohol-impaired driving. “The rate of alcohol impairment among drivers involved in fatal crashes was 3.3 times at night than during the day,” the NHTSA said. Speeding is another major factor. The NHTSA found that speeding killed 10,111 people in 2016 and accounted for about 27 percent of all fatal crashes.